Go beyond wash and wax with these vehicle detailing suggestions. 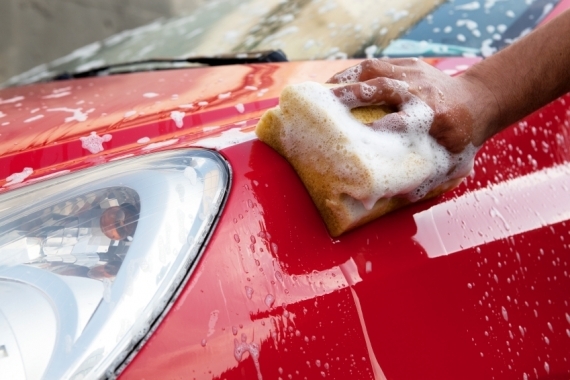 When it comes to cleaning your vehicle, what’s there to know? The basic car wash and interior tidying works just fine when you’re pressed for time or simply can’t tolerate the dirt any longer. And the end result is a relatively clean vehicle that looks – and perhaps smells – much better than it did before with a minimal time investment. A few times a year, however, you should go beyond the light cleaning. 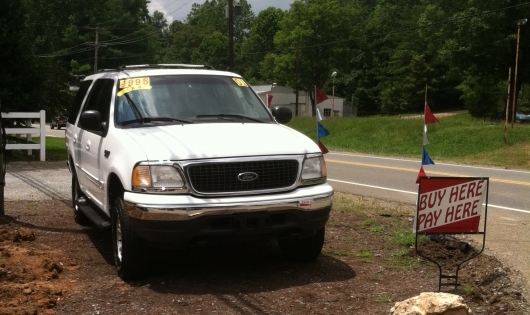 A thorough detailing – inside and out – gives you a vehicle that’s more enjoyable to drive and ride in. What’s more, it can also help retain the vehicle’s value, improve driver safety with better visibility, and keep the vehicle cleaner for longer, as well as make future cleanings easier. Vehicle detailing, whether performed by a professional or DIYer, didn’t even exist in the mainstream prior to the 1980s. That could be because we didn’t drive our vehicles long enough. According to the National Automobile Dealers’ Association, American’s in the late 1970s kept their cars for just over three years, while today, the average age of vehicles on the road is over 11 years. That’s a lot of time and miles spent accumulating layers of grime on virtually every vehicle surface. The industry responded accordingly with products and professional car detailers becoming readily available to the public. Whether you’re considering doing it yourself or wondering if it’s worth the investment of having a professional vehicle detailer do it for you, here are seven essential elements of a comprehensive vehicle detailing to consider when you’re ready to go beyond a simple wash and vacuum. Clean the engine and engine compartment. Most drivers never lift the hood as part of a car wash simply because they’re afraid of damaging something under there with soap and water. It’s a valid concern, but with a few precautions, it’s not one that should prevent you from doing some cleaning because modern vehicle engine components are pretty well protected. First, make sure the engine is cold and hasn’t run for a while because spraying water on a hot engine certainly can inflict damage. Consider covering the air intake, alternator or any exposed filters with a plastic bag. If you don’t know what those are, best let a professional take care of this. If you’re still comfortable moving forward, use a spray-on degreasing product designed specifically for the task at hand and follow the instructions. Once that’s done, there will probably still be a lot of dirty spots, so have a supply of towels and brushes nearby and get ready for a lot of hand wiping to really make the engine and its compartment shine. Consider applying wax to the painted body surfaces inside the engine compartment as well as a vinyl and rubber appearance and protectant product to hoses, plastic fluid bottles and plastic covers. 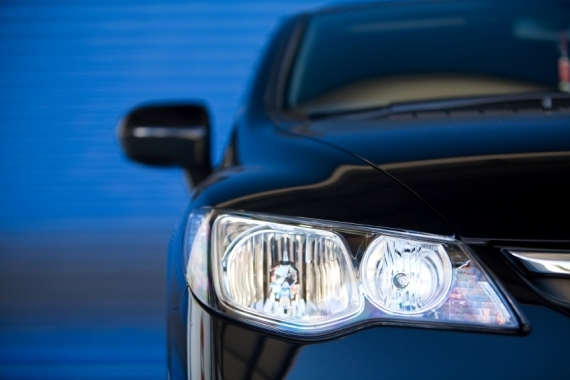 Vehicle exteriors are exposed to countless pollutants that stick to the paint’s surface. If they’re allowed to remain there, they can ultimately damage the vehicle’s finish. Whether it’s brake dust, acid rain, tree sap, tar, or bugs, these contaminants can’t be removed with a simple washing. A clay bar and clay bar lubricant remove all the pollutants stuck to the surface, leaving the vehicle’s surface smooth as glass, contaminant-free and ready for the next step – a wax or sealant application. Clay bars also work great on chrome. Shaking out the floor mats, giving the carpet and seats a quick vacuuming and maybe using a carpet and upholstery cleaner will certainly help improve the interior’s appearance and smell, but there’s more to be done. Use compressed air to blow dirt and debris out of impossible-to-reach cracks and crevices so that it can be vacuumed away later. Go the distance and get an assortment of tiny brushes or cotton-tipped swabs to clean around tiny spaces, such as air vents and dashboard controls. Use vacuum attachments designed specifically for vehicle cleaning. They’re smaller than standard attachments, enabling you to reach places that were inaccessible before, such as between the seat and center console or inside air vents. Periodic cleaning – including shampooing and vacuuming – will help prevent and remove offensive smells inside the vehicle. But for persistent smells – such as cigarette smoke or pet odors – you might have to enlist the help of a professional detailer, or find a friend who just so happens to own an ozone generator. These electronic devices generate ozone and kill the mold, mildew, and bacteria responsible for generating odors, turning them into harmless gases and leaving your vehicle odor free after a treatment. Clean and protect wheels and tires. Brake dust is one of a wheel’s worst enemies, both because it looks terrible and because it can damage chrome wheels over time. Working with cold wheels, spray them with a strong stream of water to remove dirt and debris. Choose a non-acidic wheel cleaner to avoid damaging the finish and spray it liberally on the wheel, but don’t allow it to dry. Use a soft brush to remove dirt and brake dust, remembering to clean around the lug nuts. A clay bar can also be used on wheels. Rinse and dry the wheels to prevent water spots and follow up with a metal polish to really make them shine, followed by a waxing. Now’s the time to clean wheel wells too. Finally, use a tire dressing that’s silicone free as some silicone-based dressings can turn brown. For a wetter look, try layering a couple coats after the initial coat has dried. Few things look worse on a freshly detailed vehicle than plastic headlight covers that are clouded and oxidized. They’re also dangerous because they decrease the amount of light hitting the pavement. Luckily, they’re easy and inexpensive to clean with any one of the numerous headlight restoration kits available today. The clay bar we mentioned earlier works equally well on cleaning contaminants from glass. Follow it up with an ammonia-free liquid glass cleaner and a microfiber towel, being sure to work out of the sun so that the cleaner doesn’t evaporate too quickly. If you roll the windows down a little you can easily clean the top edge. Glass cleaner works on your wiper blades to prevent them from skipping or chattering and to help improve their water removal. To avoid overspray from other liquids, glass cleaning should be the last thing you do when detailing. Give your vehicle the deep cleaning that you and it deserve. Who knows – it might look so good you’ll want to drive it well beyond that 11-year average of vehicles on the road today.